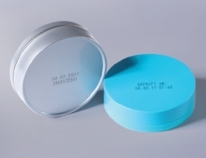 Reiner JetStamp 790MP Time Date Stamp is your Mobile Time Date Stamp, featuring 2-Line Ink Jet Printing WITH A Quick-Dry Ink designed for Metal, Plastic and Slick surfaces. 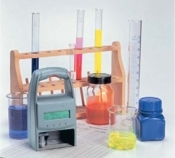 The Reiner JetStamp 790MP helps you with Time Date Stamp InkJet Stamping. This model JetStamp 790MP (MP=Metal / Plastic) features a Quick-Dry, Permanent Ink and Firmware designed for use on Metal, Plastic and other slick surfaces, the ink will adhere to these types of surfaces!! All you need for precise, Fully Mobile, Time Date Stamp printing...specifies who, when, where with Reiner's JetStamp 790MP Time and Date stamp. Complete JetStamp 790MP Time Date Stamp Kit includes; (1) JetStamp 790MP Mobile Time Stamp with Quick-Dry Ink and Firmware, (1) Charging Docking Station, (1) Black Quick-Dry Ink Jet Cartridge, (1) USB Cable. Applications: A Totally mobile Solution for Time Date Stamp Product Marking and Imprinting...such as; Checking and validating in surgeries, pharmacies, and hospitals, marking dockets and packages in transit, quality control validation, laboratory timing and checking, production controls, delicate product marking, nightclub and meetings entry validation, etc. Watch this video to see the Reiner JetStamp 790MP Time Date Stamp in action.